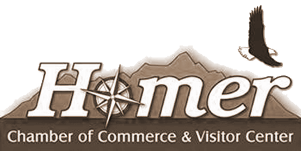 Our inn is located on a secluded hillside above the town of Homer. These are the words our guests use to describe the view: “amazing, glorious, unique, spectacular, one of a kind, unbelievable, breathtaking”; indeed, it’s hard to find a better place to view the spit, the bay, and the Kenai Mountains and Harding Ice Field with its glaciers – which are across the bay. Majestic View Bed and Breakfast is a three-story home, designed and built by Maria in 1994. Next-door is the cabin, which was added to the property in 2008. Together, they comprise seven “theme decorated” living spaces that vary in size and amenities; surely we will have a room, studio, or full-size apartment to fit your needs! All rooms have “something special” – be it a jet-tub or a private deck. Five of the seven rooms face the water and have huge windows so that you can always enjoy the scenery, sunrises, sunsets, and the moose that frequent our yard. All rooms come with private bathrooms, Wi-Fi, TVs, DVD players, and mini-fridges. For the independent-minded, we have a full two-bedroom apartment on the lower level, and two studio apartments with kitchenettes – but always know that you are welcome to come enjoy Maria’s amazing breakfasts. Guests say that her “Alaska Pancake” and “Stuffed French Toast” are always a favorite. And for the fishermen who leave early, Maria will set you up with a bag lunch. Just ask! Majestic View Bed and Breakfast features a huge common space, including the breakfast area and the lounge area – filled with Maria’s personal art, local art and artifacts, “Bullwinkle” the moose and other wildlife mounts, furs (all collected by Tim), as well as numerous places to curl up, relax, enjoy a cup of tea or a glass of wine, read, or visit with other guests. This area is surrounded by huge windows that wrap around the entire kitchen and living area. From the breakfast area, step out onto our massive deck, which wraps around the living room and kitchen, and faces the ocean and mountains. The deck is outfitted with patio furniture, a picnic table, a grill to cook your catch of the day, and an outdoor fireplace that acts as a centerpiece. 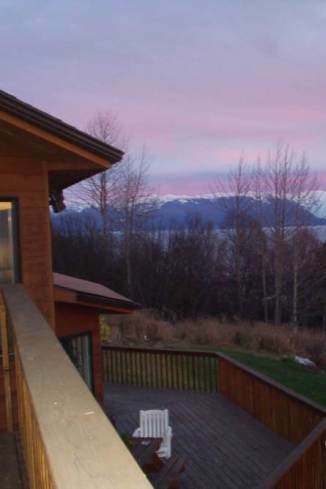 Make sure to take some time to relax on the deck and soak up the Alaskan surroundings. 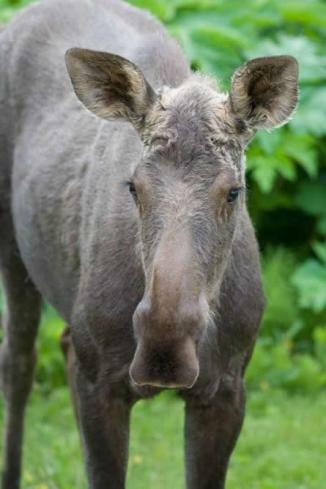 Many guests enjoy walking about the property, and following the nature trails that are made mostly by our local moose. On the trails, you will find native wildflowers like wild roses, lupins, and fireweed; and you might even glimpse our moose, eagles, and bear! Need help planning your day? Maria has lived in Homer since 1983; she has the advice, knowledge, and information that will make your day a great memory! Tim stays busy as a charter captain, fishing/tour guide, and water taxi for the bed and breakfast guests– and can help you with a personalized adventure on the water or across the bay. 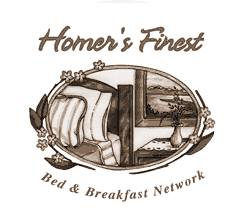 Majestic View Bed and Breakfast is located just a short distance from Homer – where there are dozens of great restaurants serving the freshest seafood. You’ll find great shopping, unique local art, and museums in town. Or you can explore “the spit,” the harbor, “the fishing hole,” and numerous public beaches. 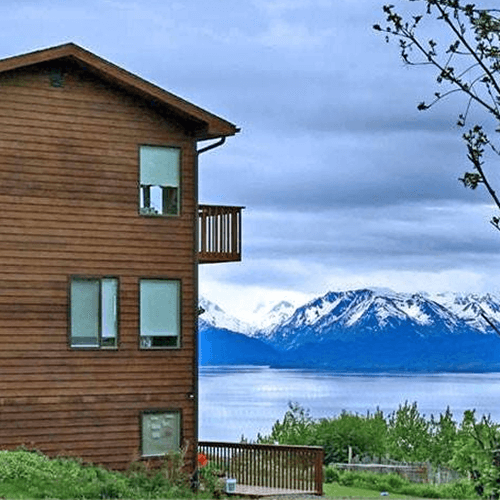 The convenient location of our bed and breakfast offers up the best of both worlds: the Alaskan wilderness and small town living. At the end of a fun day, remember that Maria offers in-room Aromatouch oil treatments, with DoTerra Essential Oils – by appointment only. 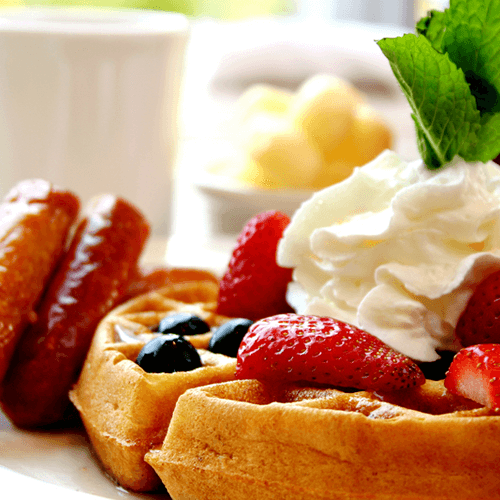 What’s the best part about owning a bed and breakfast? Both Maria and Tim report a resounding answer: “our guests.” We look forward to meeting you, welcoming you to our home, and are proud to offer one of the finest in bed and breakfast experiences. “Majestic View has a fantastic view of the spit. You can sit on the deck and be absorbed as part of this beautiful place. Maria not only serves wonderful breakfasts, but she is so welcoming and hospitable that you will feel you have known her for years. What can I say? This B and B is tops! Summer will be here before we know it! Now is the best time to plan your Alaskan Getaway. The moose will have have had their calves, and some will be hanging around our yard. 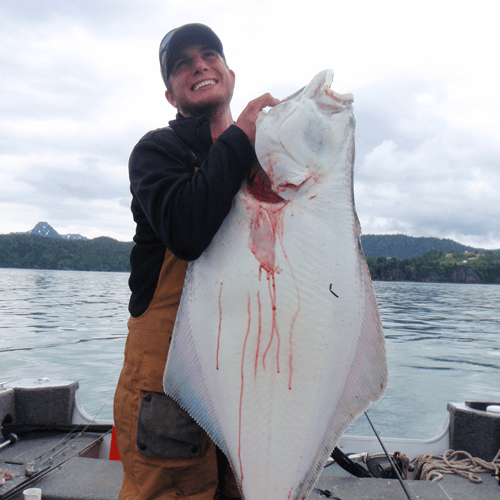 Fishermen will have a great time catching halibut and salmon. During the past year, we remodeled our downstairs – so you will notice new walls that are freshly painted, a brand new bathroom, fresh decorations, and bedding. Outside, we have been moving the earth to provide more parking and turn-around areas for Tim’s boat, and the RV that we use for family guests, friends, and overflow. Things are always buzzing at Majestic View Bed and Breakfast!